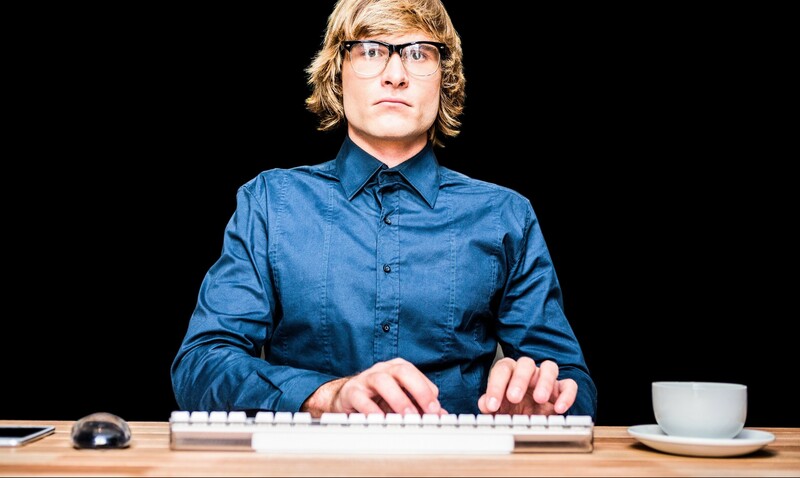 These automated portfolio managers are currently handling more than $20 billion. And they’re expected to control $255 billion by 2020. As an investor, all you need to do to use this technology is answer a couple of questions online. Then, faster than you can say “bleep bloop,” you’ll be given a customized list of ETFs to invest in. The target audience here is tech-savvy Millennials. It’s a little extreme, but I do appreciate the push to get younger people investing. For example, they should invest in toilet paper. Kimberly-Clark (NYSE: KMB) - which owns several bathroom tissue brands, including Scott and Cottonelle - pays a decent dividend, currently $3.68 annually for a yield of 2.76%. The other thing to like about this investment? Toilet paper is a consumer staple. It has been for more than 100 years. And it’s unlikely someone’s going to come along and disrupt this market anytime soon. 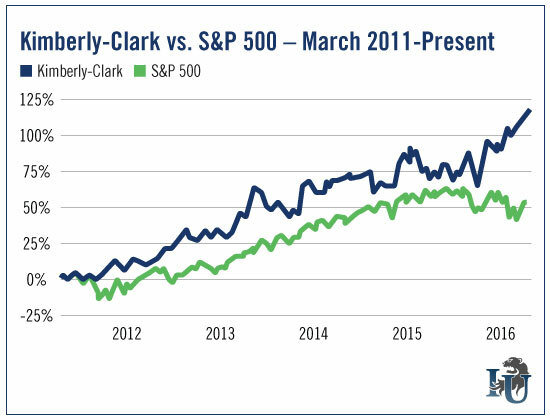 If you had invested $5,000 in Kimberly-Clark at the end of March 2011, your investment would currently be worth more than $12,311. And if you had reinvested the dividend, your total number of shares would have increased from 77 in 2011 to 91.3 today. The power of dividend-paying stocks is time. The longer you allow a dividend reinvestment program (popularly known as a DRIP) to work, the greater the impact compounding has on a portfolio. We can see this at work in J.P. Morgan Asset Management’s 2016 “Guide to Retirement.” One of the items highlighted in this report is the importance of investing as early as possible. 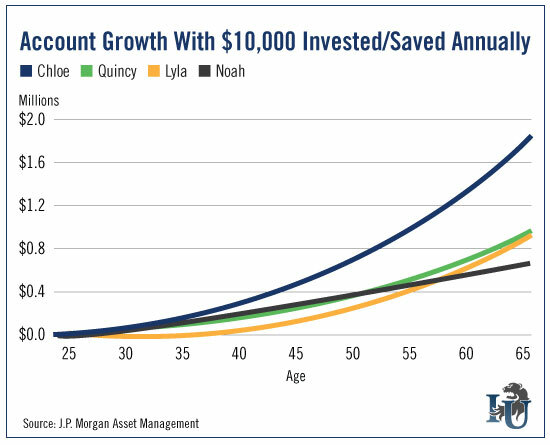 They present a hypothetical situation where four young investors - Chloe, Quincy, Lyla and Noah - are each able to invest or save $10,000 annually. Chloe, after investing $10,000 per year from age 25 to 65, is the clear winner. She ends up with nearly $1.9 million in the end. But the real power of compounding is on display in the lines for Quincy and Lyla. Quincy sets aside only $10,000 annually from 25 to 35 - just $100,000 total. And Lyla - starting later in life - invests $10,000 every year from 35 to 65. Yet despite putting more money aside than Quincy - $300,000 total - she ends up with less. It really illustrates just how important compounding and time are to your investment success. Over the years, I’ve hammered my friends and family with pieces of data like this - especially those who have young children. Setting up a dividend-paying stock portfolio for your kid is one of the greatest gifts you can give them. Whether you’re a Millennial or a retiree, I can tell you this: No one needs a robot managing their long-term investments. You can do it yourself. Simply. Just build a portfolio with dividend-payers from a diverse group of sectors. Then let time and compounding do their work. A good DRIP is the only automated investment program you’ll ever need. The power of compounding is something we come back to again and again. It’s arguably the most powerful force in the universe - and it’s helped build countless fortunes. Which is precisely why Marc Lichtenfeld created the Compound Income Portfolio, one of three portfolios tracked in his Oxford Income Letter newsletter. Omega is a real estate investment trust that owns more than 908 nursing home properties in 41 states among 81 operators. As the years go by, millions more Americans are going to rely on Omega's tenants for care. That bodes well for the company's share price. Another bit of good news for investors? Omega's 6.5% dividend yield. Here's what Marc had to say about the company in a note to Oxford Income Letter subscribers: “[Omega] has raised the dividend every year since 2010 and in 17 of the past 20 quarters, including the last 11 in a row. With such a strong record of raising the dividend and growing cash flow, Omega Healthcare Investors should be able to meaningfully boost the dividend every quarter for the foreseeable future.